Set in 1992, The Rise and Fall of Little Voice by Jim Cartwright takes you inside the world of young ‘Little Voice’ and her journey to finding her own voice. After losing her dad, all she has to hold on to him are his records that used to make him “sparkle”. As she is drowned out by her loud and brash mother she loses her ability to speak up and be heard, her only form of self expression being through her singing. As she spends every minute of every day listening to these records she inhabits the voices of iconic singers such as Judy Garland and Marilyn Monroe and her impressions are remarkable. The stage was draped in sparkles surrounding the innovatively designed house and garden that would turn around to change scenes, these transitions were slick as they kept the pace of the production. The two story house really sets the story as it’s neglected and run down, reflecting the way Mari looks after her daughter. Jim Cartwright portrays comedy throughout the show impeccably, the mother “Mari” is the epitome of the life and soul of the show, outspoken and outrageous Vicky Entwistle captures the role flawlessly. Despite her playing such a drunken and sarcastic character that treats her daughter “LV” dreadfully, the audience can’t help but warm to her. She’s fantastically witty and her comedy timing is excellent, she really displayed the desperation of the character enabling the audience to sympathise for her. Her passionate and emotional outburst at the end of the show displaying her anger and bitterness at how she could have made something of herself was highly moving and incredibly acted. Mari falls for sleezy music manager Ray Say played by Chris Gascoyne, who uses Mari in order to make money out of her daughter’s formidable talent. Gascoyne’s portrayal of Ray is sharp, his instant change in character towards the end as his character unraveled showing his dark manipulative side was superb and highly convincing. 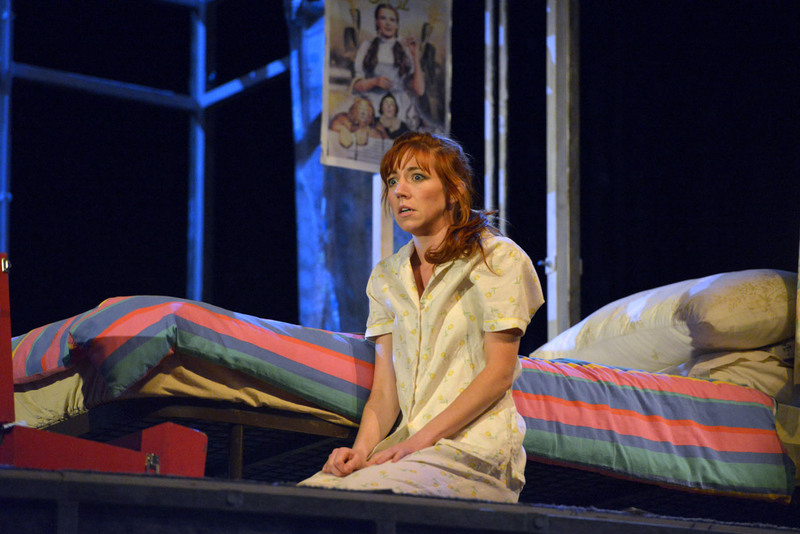 Nancy Sullivan shone as LV (Little Voice), taking on such a challenging role of a character so introverted and frightened of the world. She is timid and contained, Sullivan presents that remarkably, without even saying anything her anxiety is evident in her whole physique throughout the entirety of the show. She manages to show hints of confidence as she discovers her own voice and finally at the end she finds her voice and sings as herself. During her final performance I felt exceedingly moved as she exudes passion and her voice is sensational. Little Voice connects with similarly shy young man Billy played by Tendayi Jembere, who really encapsulated the sensitivity of the character and his relationship with LV. Also Mr Boo the club owner played by Brendan Charleson entertained the audience marvelously as if they were his very own audience in his club. Despite the emotional battle between LV and her mother being omnipresent throughout the show, the production itself is truly hilarious. Comedic characters such as Sadie, played by Joanna Brookes, the neighbour that would only ever answer “okay” to everything had the audience in hysterics. Especially during the celebration dance to “I want you back” displaying some horrifically amusing dance moves by the pair. The play was faultless, it had pace, comedy and emotion. I was truly captivated by the story and the actors did a magnificent job of depicting that and it was obvious that they had a deep understanding of their characters. I laughed endless amounts and had goosebumps at the end, it is a true emotional rollercoaster and a fascinating journey of one Northern family’s life. The Rise and Fall of Little Voice is on at the Birmingham Repertory Theatre until the 30th of May and ticket information can be found here. 'Sincerely, Amy’ is my arts and culture blog that showcases and champions the best in theatre and cultural travel with a strong focus on the arts. 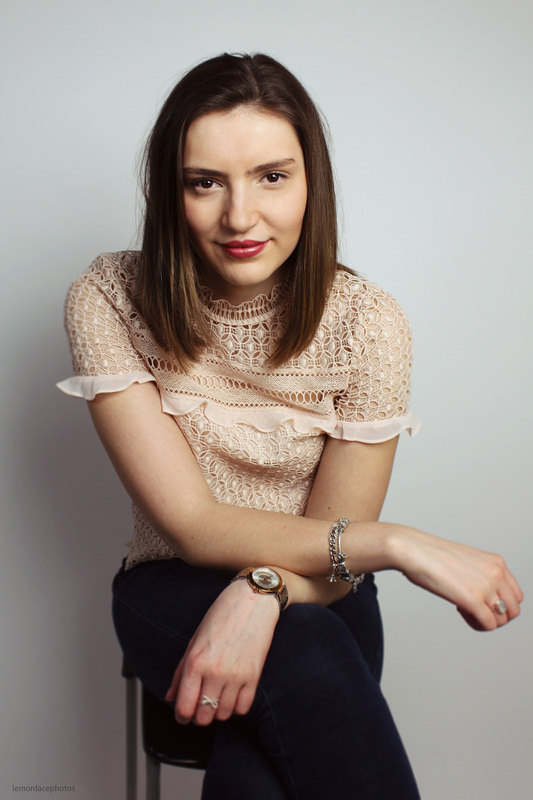 I am a consistent theatre reviewer in Manchester, the Midlands and London whilst working in social media and PR. I also created the 'Women In The Arts' campaign, striving for gender equality in the industry.